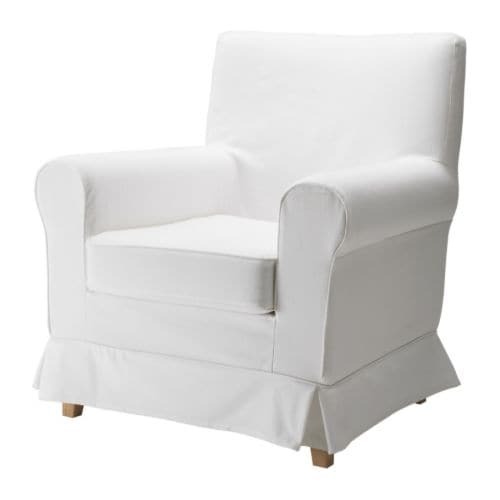 Now that I have a baby I am loving a slipcover more than ever. Not only can it give a room with mismatched furniture an effortless and inexpensive look of unity, but also functionality! 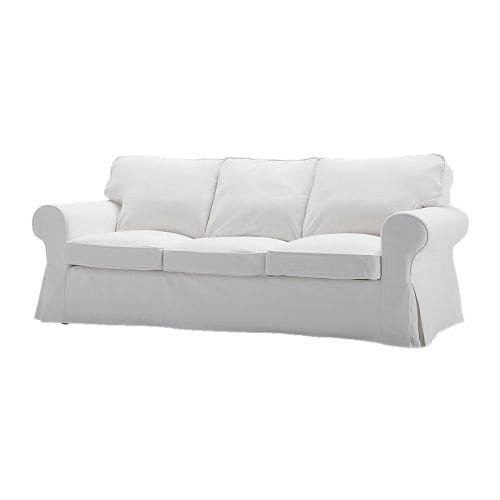 I have a white couch...yes, I said "WHITE"... hold your gasps! With a dog, baby, and husband (and, okay, me too...I eat chocolate chip cookies on the couch...guilty! ), I wash the slipcovers probably once every couple of weeks (sometimes more often). A little Tide, one scoop of Oxiclean, and a cap of bleach later, they are good as new. Check out these slipcover variations. I love the knife pleat on the first, and am drooling over the monogram on the chairs! 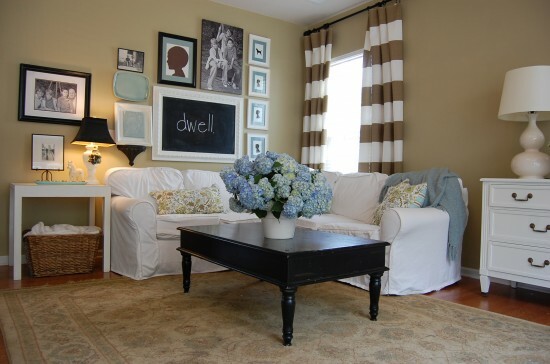 I also love how relaxed and inviting a room looks with a slipcovered couch and/or chairs. Makes you want to kick off your shoes and stay a spell. 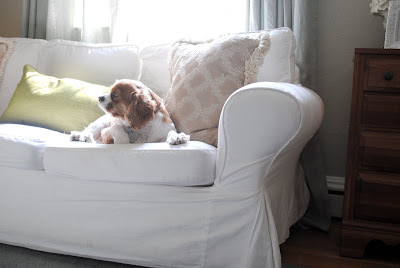 In case you are wondering, my slipcovered couch is a great steal! It is the Ikea Ektorp, priced at $399! I wasn't sure of the quality upon purchase, but I have been pleasantly surprised! Our little couch is going on 3 years old (with the original slipcovers) and still looks pretty great! 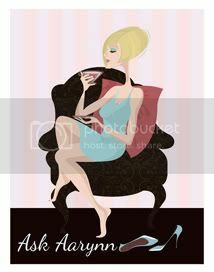 I am thinking of purchasing two of the adorable club chairs to go with the couch. Cute, huh!? You can purchase the matching chairs for a mere $199 apiece! Slipcovers are also a great way to mask unattractive fabrics. Check out this little bench. I'm sure you remember it from my Couture Collection. I purchased it from Craigslist because it had such pretty legs! No cat calls, please! However, it had a little unfortunate checked fabric covering the cushion. A perfect opportunity for a slipcover! I had this one made from cotton duck cloth ($4 a yard) and a little white ruffle ($3.50 a yard). The ruffle gave the effect of a knife pleat that I like so much without the extra cost and labor. The end result...an adorable bench that you can actually prop your feet on without any worries. I also used a slipcover for an unattractive table that holds the TV in our bedroom. I could have painted the table, because it is actually kinda cute...but...I had a bigger problem. Do you see what I do? WIRES!! Yuck!! One of my decorating pet peeves is wires, plugs, and outlets hanging out for the world to see. I prefer them tucked out of sight and mind. So, the answer? Yep, you got it...a slipcover! 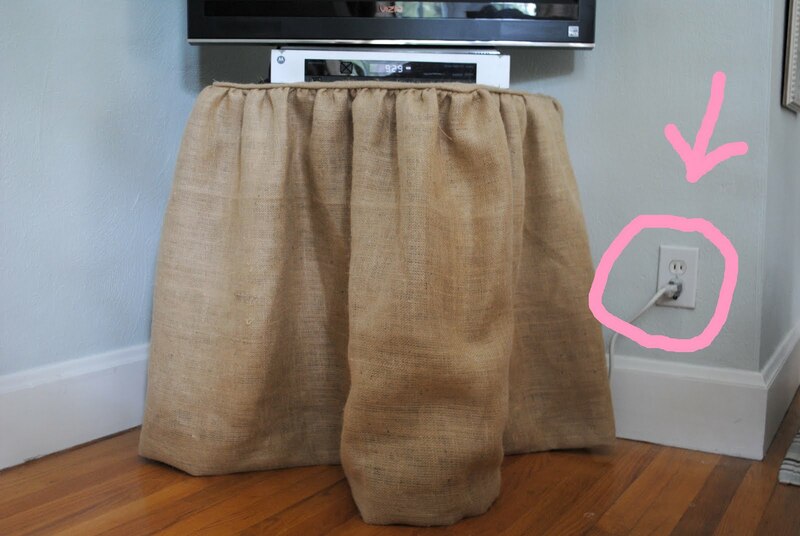 I used a little of my go-to fabric these days - burlap ($5 a yard) and had this little table skirt made for $40. Instant texture to the room and bye-bye to the ugly table and the wires too! I pointed out in pink (of course) the one outlet and wire I could not mask. Boo! Sometimes it is just about impossible to hide all outlets and wires, so my suggestion is a light colored or clear cord. It camouflages itself a bit better. Still an improvement from before!